The senior officials responsible for our military failures are guiding us to more of the same. Then-Secretary of State Hillary Clinton echoed that famed saying when summing up the Obama administration’s military intervention in Libya in 2011 — with a small alteration. “We came, we saw, he died,” she said with a laugh about the killing of Muammar Gaddafi, that country’s autocratic leader. Note what she left out, though: the “vici” or victory part. And how right she was to do so, since Washington’s invasions, occupations, and interventions in Afghanistan, Iraq, Libya, and elsewhere in this century have never produced anything faintly like a single decisive and lasting victory. Wars are risky, destructive, unpredictable endeavors, so it would hardly be surprising if America’s military and civilian leaders failed occasionally in their endless martial endeavors, despite the overwhelming superiority in firepower of “the world’s greatest military.” Here’s the question, though: Why have all the American wars of this century gone down in flames and what in the world have those leaders learned from such repetitive failures? The evidence before our eyes suggests that, when it comes to our senior military leaders at least, the answer would be: nothing at all. Though retired from the military since 2011, Petraeus somehow remains a bellwether for conventional thinking about America’s wars at the Pentagon, as well as inside the Washington Beltway. And despite the quagmire in Afghanistan (that he had a significant hand in deepening), despite the widespread destruction in Iraq (for which he would hold some responsibility), despite the failed-state chaos in Libya, he continues to relentlessly plug the idea of pursuing a “sustainable” forever war against global terrorism; in other words, yet more of the same. His comment brings to mind a World War II quip about General George S. Patton, also known as “old blood and guts.” Some of his troops responded to that nickname this way: yes, his guts, but our blood. When men like Petraeus measure the supposed sustainability of their wars in terms of blood and treasure, the first question should be: Whose blood, whose treasure? Talk about lacking an exit strategy! And he also speaks of a persistent “industrial-strength” Afghan insurgency without noting that U.S. military actions, including drone strikes and an increasing reliance on air power, result in ever more dead civilians, which only feed that same insurgency. For him, Afghanistan is little more than a “platform” for regional counterterror operations and so anything must be done to prevent the greatest horror of all: withdrawing American troops too quickly. Petraeus’s critique is, in fact, a subtle version of the stab-in-the-back myth. Its underlying premise: that the U.S. military is always on the generational cusp of success, whether in Vietnam in 1971, Iraq in 2011, or Afghanistan in 2019, if only the rug weren’t pulled out from under the U.S. military by irresolute commanders-in-chief. Of course, this is all nonsense. Commanded by none other than General David Petraeus, the Afghan surge of 2009-2010 proved a dismal failure as, in the end, had his Iraq surge of 2007. U.S. efforts to train reliable indigenous forces (no matter where in the embattled Greater Middle East and Africa) have also consistently failed. Yet Petraeus’s answer is always more of the same: more U.S. troops and advisers, training, bombing, and killing, all to be repeated at “sustainable” levels for generations to come. No mention here of how the U.S. invasions of Afghanistan and Iraq spread destruction and, in the end, a “tsunami of refugees” throughout the region. No mention of how U.S. interventions and bombing in Libya, Syria, Somalia, and elsewhere help “spew” violence and generate a series of failed states. For Petraeus, even if Islamic terrorism disappeared tomorrow and not generations from now, the U.S. military would still be engaged with the supercharged threat of China and Russia. I can already hear Pentagon cash registers going ka-ching! And here, in the end, is what’s most striking about Petraeus’s war lessons: no concept of peace even exists in his version of the future. Instead, whether via Islamic terrorism or rival great powers, America faces intractable threats into a distant future. Give him credit for one thing: if adopted, his vision could keep the national security state funded in the staggering fashion it’s come to expect for generations, or at least until the money runs out and the U.S. empire collapses. 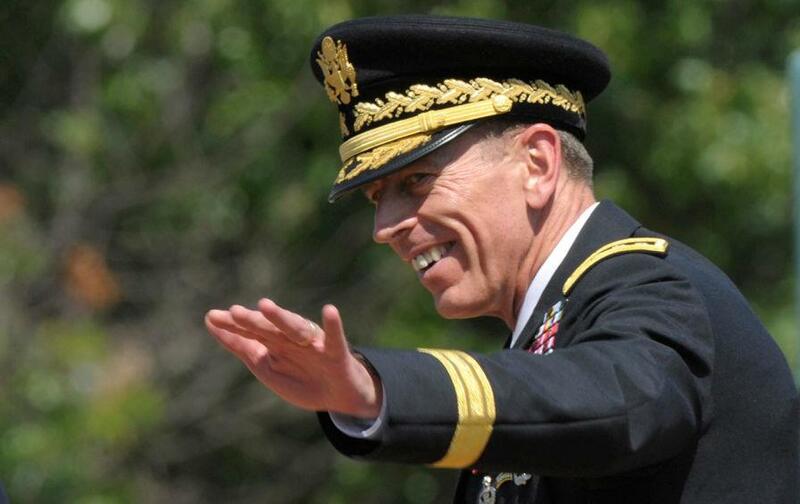 David Petraeus remains America’s best-known general of this century. His thinking, though, is anything but unique. Take two other senior U.S. Army generals, Mark Milley and Ray Odierno, both of whom recently contributed forewords to the Army’s official history of the Iraq War that tell you what you need to know about Pentagon thinking these days. Published this January, the Army’s history of Operation Iraqi Freedom is detailed and controversial. Completed in June 2016, its publication was pushed back due to internal disagreements. As the Wall Street Journal put itin October 2018: “Senior [Army] brass fretted over the impact the study’s criticisms might have on prominent officers’ reputations and on congressional support for the service.” With those worries apparently resolved, the study is now available at the Army War College website. These aren’t, in fact, lessons. They’re military banalities. The side with the best weapons doesn’t always win. Short wars can turn into long ones. The enemy has a say in how the war is fought. What they lack is any sense of Army responsibility for mismanaging the Iraq War so spectacularly. In other words, mission accomplished for General Milley. * Superior technology doesn’t guarantee victory. Skill and warcraft remain vital. The gist of Odierno’s “lessons”: the Army learned, adapted, and overcame. Therefore, it deserves America’s thanks and yet more of everything, including the money and resources to pursue future wars even more successfully. There would, however, be another way to read those lessons of his: that the Army overvalued technology, that combat skills were lacking, that efforts to work with allies and Iraqi forces regularly failed, that Army leadership lacked the skills needed to win, and that it was folly to get into a global war on terror in the first place. On those failings, neither Milley nor Odierno has anything of value to say, since their focus is purely on how to make the Army prevail in future versions of just such wars. Their limited critique, in short, does little to prevent future disasters. Much like Petraeus’s reflections, they cannot envision an end point to the process — no victory to be celebrated, no return to America being “a normal country in a normal time.” There is only war and more war in their (and so our) future. Talk of such future wars — of, that is, more of the same — reminded me of the sixth Star Trek movie, The Undiscovered Country. In that space opera, which appeared in 1991 just as the Soviet Union was imploding, peace finally breaks out between the quasi-democratic Federation (think: the USA) and the warmongering Klingon Empire (think: the USSR). Even the Federation’s implacable warrior-captain, James T. Kirk, grudgingly learns to bury the phaser with the Klingon “bastards” who murdered his son. But that unknown land, which Americans then glimpsed ever so briefly, remains unexplored to this day. The reason why is simple enough. As Andrew Bacevich put it in his book Breach of Trust, “For the Pentagon [in 1991], peace posed a concrete and imminent threat” — which meant that new threats, “rogue states” of every sort, had to be found. And found they were. It comes as no surprise, then, that America’s generals have learned so little of real value from their twenty-first-century losses. They continue to see a state of “infinite war” as necessary and are blind to the ways in which endless war and the ever-developing war state in Washington are the enemies of democracy. The question isn’t why they think the way they do. The question is why so many Americans share their vision. The future is now. Isn’t it time that the U.S. sought to invade and occupy a different “land” entirely: an undiscovered country — a future — defined by peace?